The new trailer for Dark Phoenix dropped recently and brought with it some very big surprises. It's big on action, very dark (as the name implies) and, most importantly, it explicitly reveals that at least one major character is going to die. Now, director Simon Kinberg has not only confirmed that death, but has offered an explanation for why. Warning: for those who want to go into Dark Phoenix totally clean, this may contain spoilers. 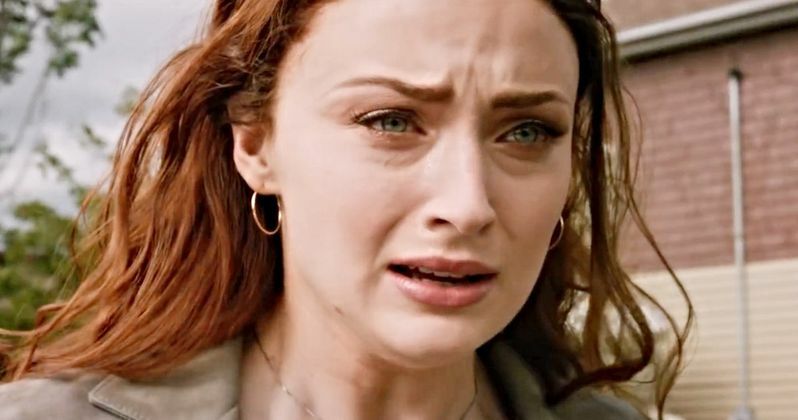 In the latest X-Men trailer, shortly after Jean Grey (Sophie Turner) gets her newfound powers, she's having a tough time controlling them. The X-Men rally to try and get her under control, with Mystique (Jennifer Lawrence) leading the charge. That doesn't go so well and Mystique bites the dust. She's the one we've been seeing in all of those shots of that funeral. In a new interview, Simon Kinberg explained why they put that death in the trailer. "Well, the thought process behind that was to primarily show that this is a movie that is unlike other X-Men movies. It's a movie where shocking things happen, where intense, dramatic things happen. People don't just fall off buildings and dust themselves off and walk away. There's a reality to this movie and a consequence to this movie. Even more than that, it was to show that Jean/Dark Phoenix is genuinely a threat to everyone, including the X-Men." To make his point, later on in the interview the filmmaker confirmed, "There are certainly other major casualties in this." So it would seem, nobody is safe. Simon Kinberg, prior to directing this movie, served as a longtime writer and producer of the franchise. Fox decided to hand him the keys to this installment, which serves as his directorial debut. But since he's been around for so long, killing off Mystique came with some emotional baggage. Despite that, he still felt it was the right thing to do. "I had a lot of emotions about it. I was obviously sad about it, as Jen's friend, and also as a fan of Jen as an actress. But I felt it was the strongest, most dramatic thing for the movie, and sometimes you have to make those kinds of hard decisions to service the larger story. And the larger story really is Jean cracking up, losing control because she's more powerful than anyone else in the world. To dramatize that properly, you have to show real loss, you have to show real pain and show real threat and menace. I didn't want to do that by her blowing up a building with anonymous people in it. It had to feel really personal for the X-Men, and I wanted it to be something that would fracture the X-Men as well. Mystique is someone who in our universe has been part of the X-Men and has been part of Magneto's world. Her death impacts literally everybody." This may well have been the best way to use Mystique. Jennifer Lawrence, in the eyes of many, really phoned it in with her performance in Apocalypse and it's clear her commitment level to this franchise has waned. So why not just kill her off and give it some narrative weight? The real question now is, who else is going to die? Dark Phoenix hits theaters on June 7. This news was first reported by Entertainment Weekly.